This is the first time I've read anything from Nova Ren Suma and I am really glad because I loved this book. The Walls Around Us is captivating, breath-taking and mysterious. The way it was written was very interesting. The flowery words used in the novel didn't make it appear exaggerated, instead it solidifies the story. The story was told in two different voices, Violet and Amber. I have to admit, I was really confused at first because they seem to exist in a parallel universe so I had no idea which of the two actually exist in the present but as the story progressed, I was enlightened and I found myself really surprised and amazed. Violet is a ballerina, off to Juilliard. Amber is a criminal, in a juvenile detention center. These two have nothing in common except Ori, Violet's bestfriend. I love how their characters were both depicted. Although I would say that I liked Amber better than Violet, especially towards the end of the story because Violet seemed to be self-absorbing which really annoyed me. Violet is kind of hard to interpret for me. I think her complex personality was one of the major anchors of the story. Amber is kind, smart and she loves books. 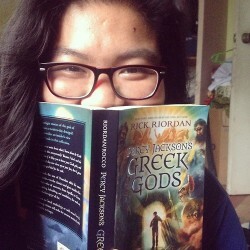 I love the references to certain popular authors like Libba Bray, Sylvia Plath, and books like The Giver and The Book Thief. The plot was driving and a bit intense. I lost my mind just as I was lost for words after reading it. It actually reminded me of the film, Black Swan. It's really mysterious and thrilling and I loved every single page of this book. It perfectly captures surrealism. Imaginary Girls which is currently waiting on my shelf. 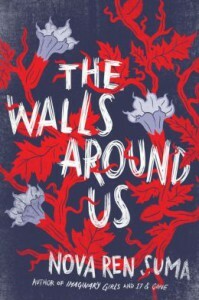 Overall, The Walls Around Us was such a beautiful read. I would definitely recommend this one.